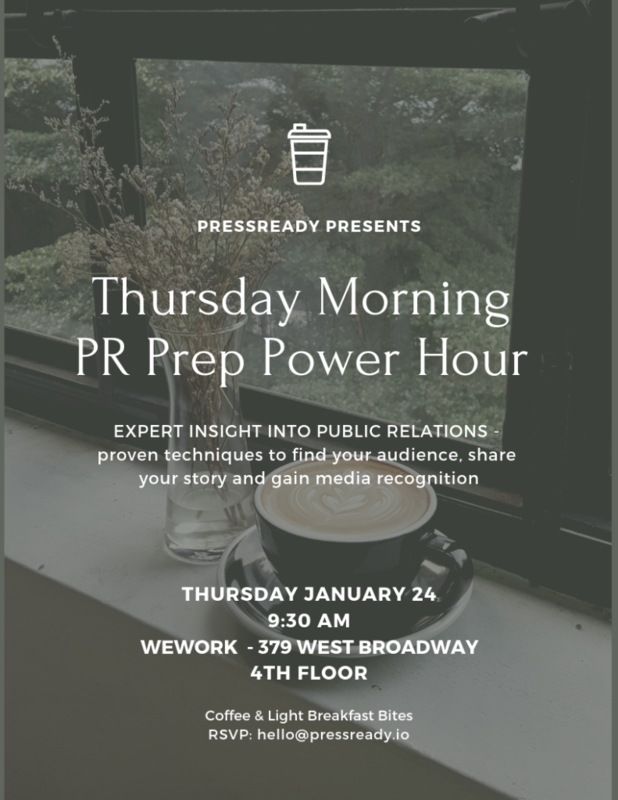 PressReady invites you to an exciting PR power hour on January 24th @ 9:30am. Learn more about how to pitch your business to the media over light breakfast bites. We would love to meet you!